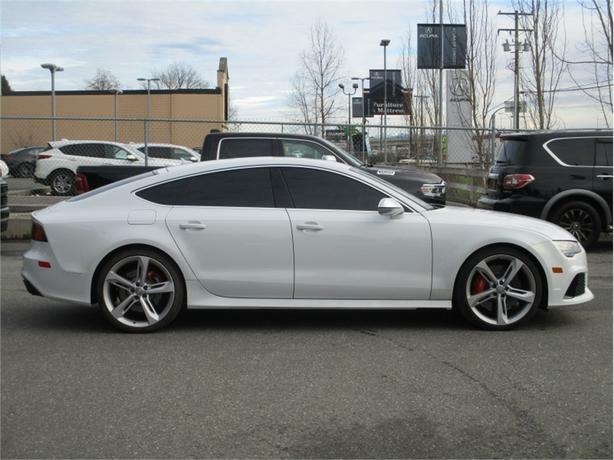 Leather Seats, Heated Seats, Bluetooth, SiriusXM, Aluminum Wheels! 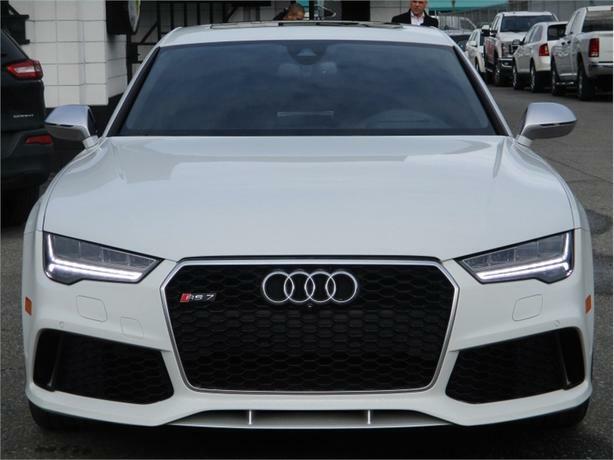 Beautiful design alone makes this Audi RS 7 a desirable luxury car. The hatchback practicality is just a bonus. 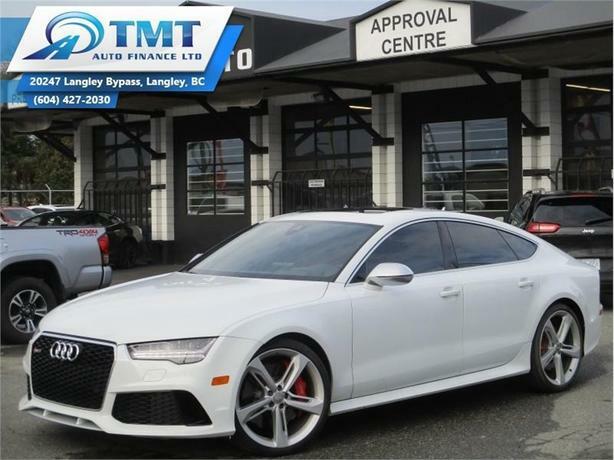 This 2016 Audi RS 7 is for sale today in Langley. It's uncommon to find a car with no compromise. 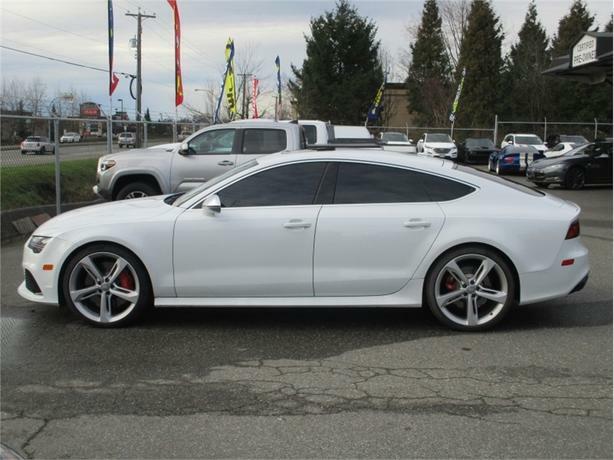 Luxury, performance, and practicality seamlessly come together in this handsome Audi RS 7. 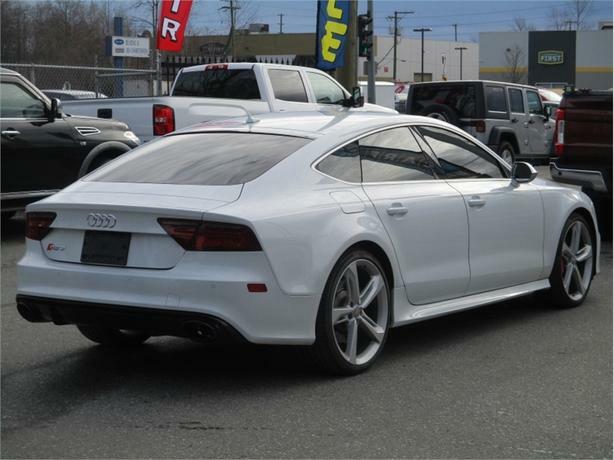 The gorgeous shape of this RS 7 gives way to its clever hatchback design giving you more cargo space and a sportier look than a traditional sedan. A comfortable, high-tech interior ensures the passengers enjoy the ride just as much as the driver. 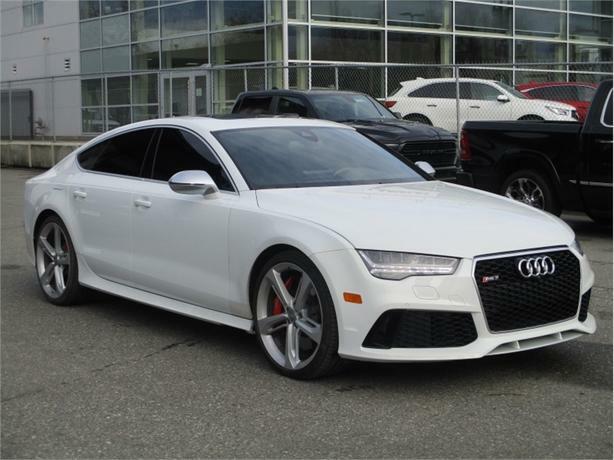 Get the excitement of a grand touring sports car with the comfort of a luxury sedan with this Audi RS 7. This sedan has 40000 kms. It's white in colour. It has a 8 speed auto transmission and is powered by a 560HP 4.0L 8 Cylinder Engine. This vehicle has been upgraded with the following features: Leather Seats, Heated Seats, Bluetooth, Siriusxm, Aluminum Wheels, Air Conditioning, Fog Lamps. 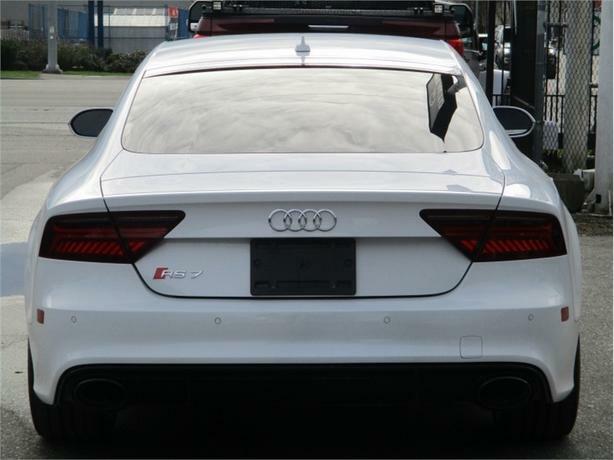 Our RS 7's trim level is Performance. 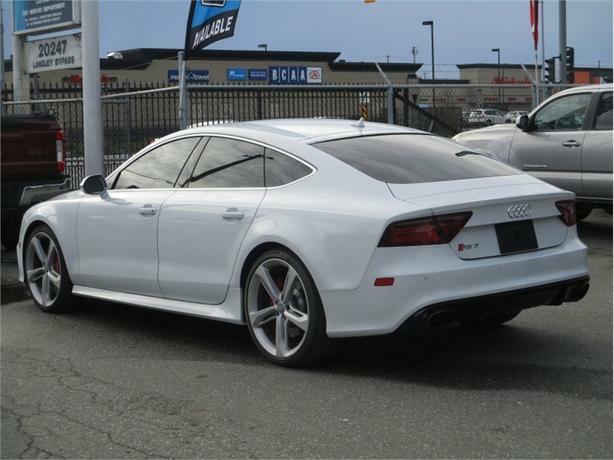 A top-notch athlete, the RS 7 Performance also impresses when it comes to efficiency. It includes features like tailgate, rear fog lamps, steering wheel controls, power rear windows, back-up camera, voice activated dual-zone front and rear automatic air-conditioning and day-night auto-dimming rearview mirror. Buy this vehicle now for the lowest bi-weekly payment of $559.52 with $0 down for 84 months @ 4.99% APR O.A.C. ( Plus applicable taxes - Plus applicable fees ). See dealer for details.